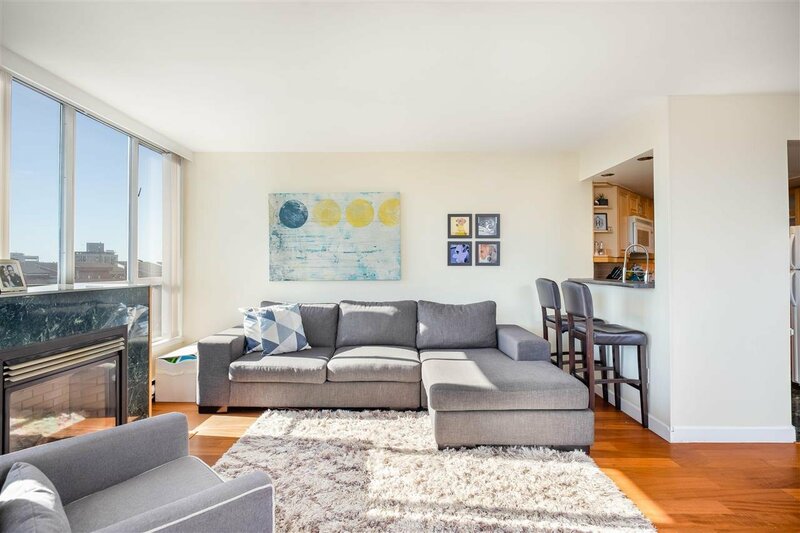 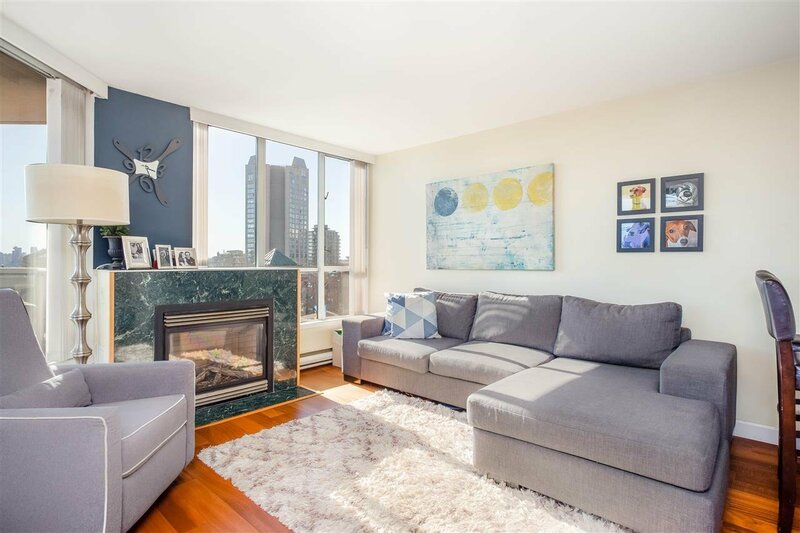 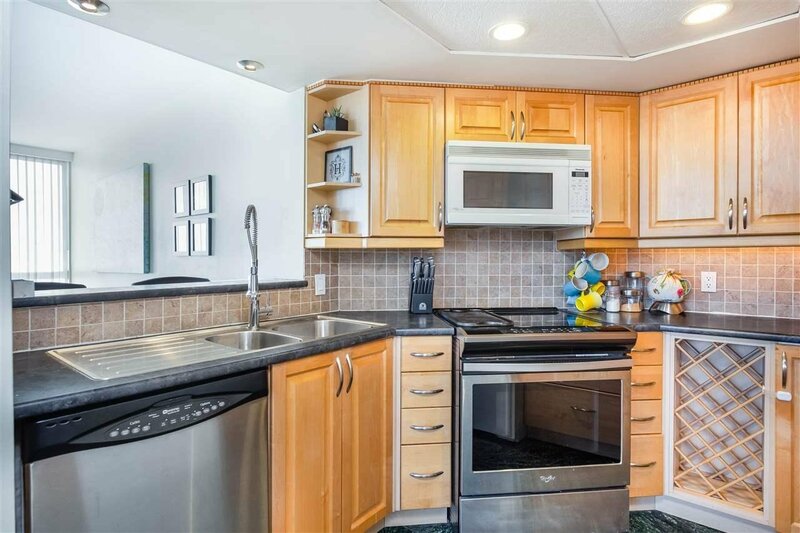 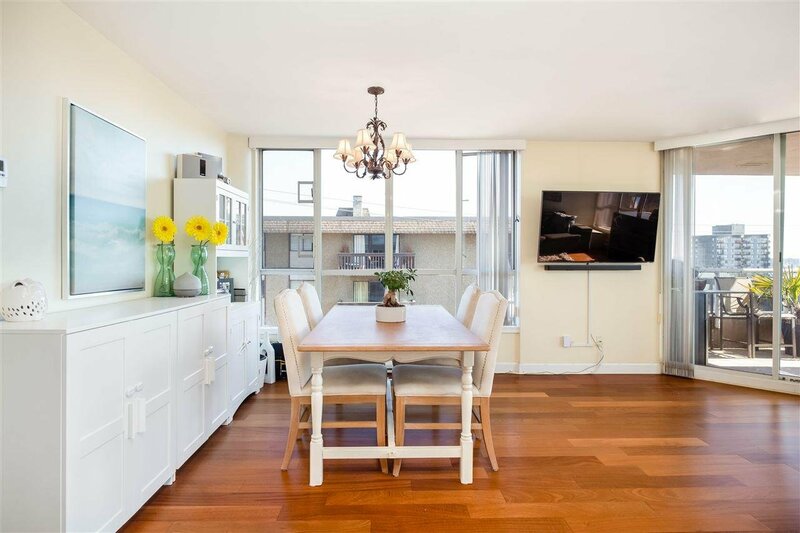 Functionality meets style in this light-filled SE facing 2 bedroom home on Lower Lonsdale. 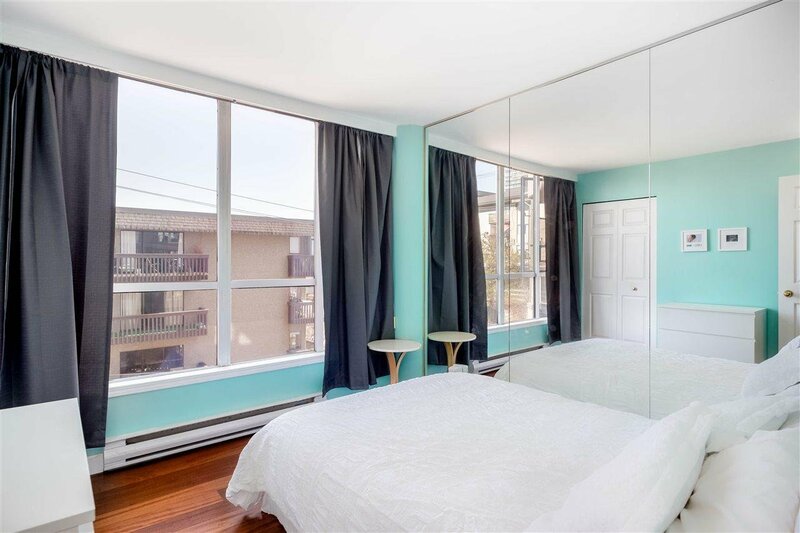 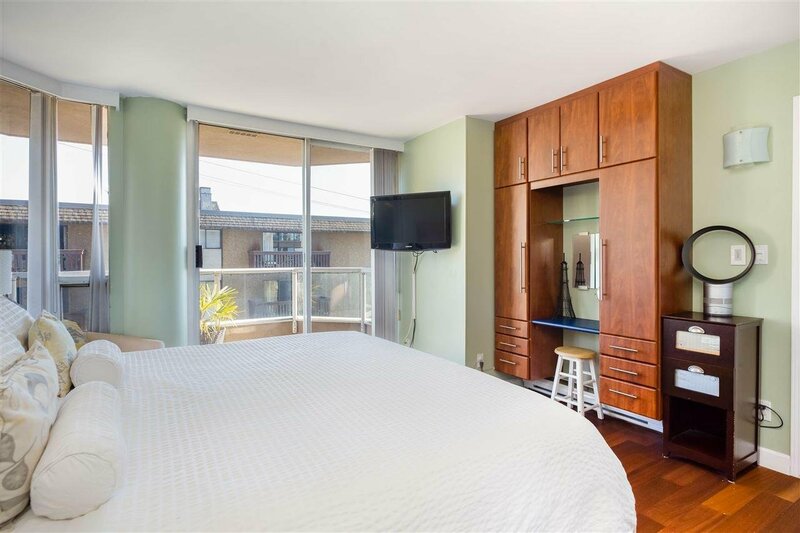 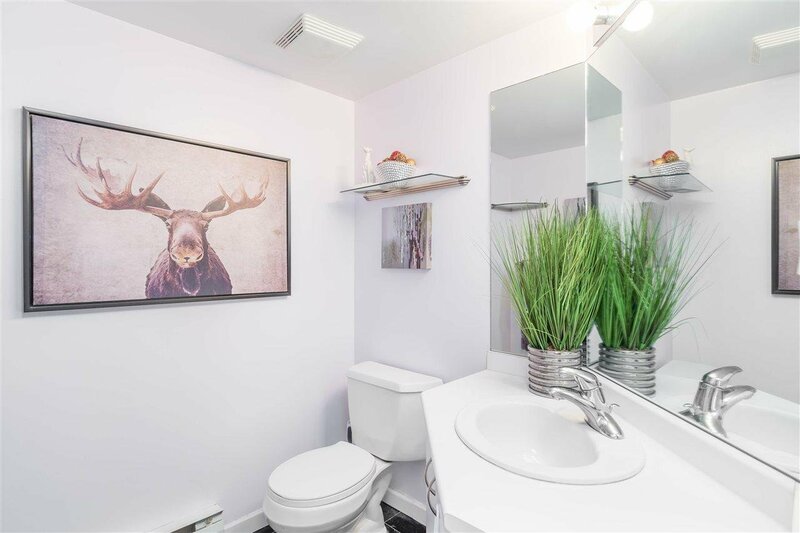 Located in The Monaco (a super quiet, concrete boutique building) & with 1,000 Sq Ft on one level, this home offers a large living room, full dining area & master bedroom that comfortably fits a king bed. 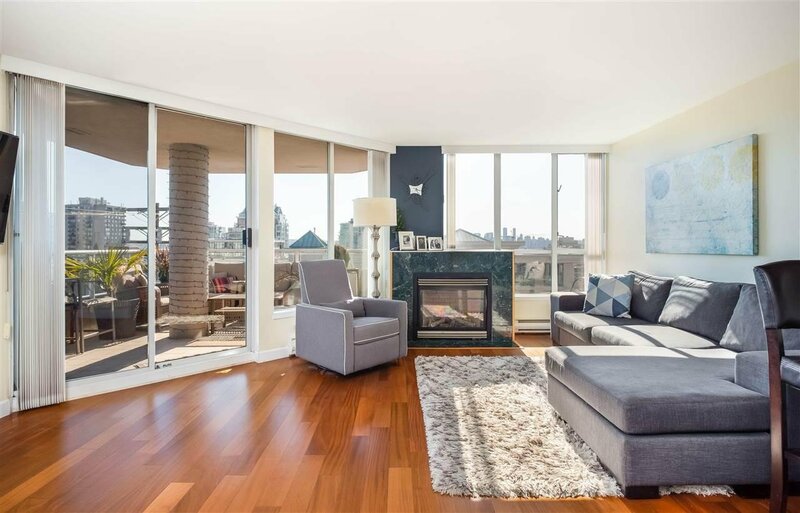 Marble framed gas fireplace in the living room, hardwood floors, and tons of windows. 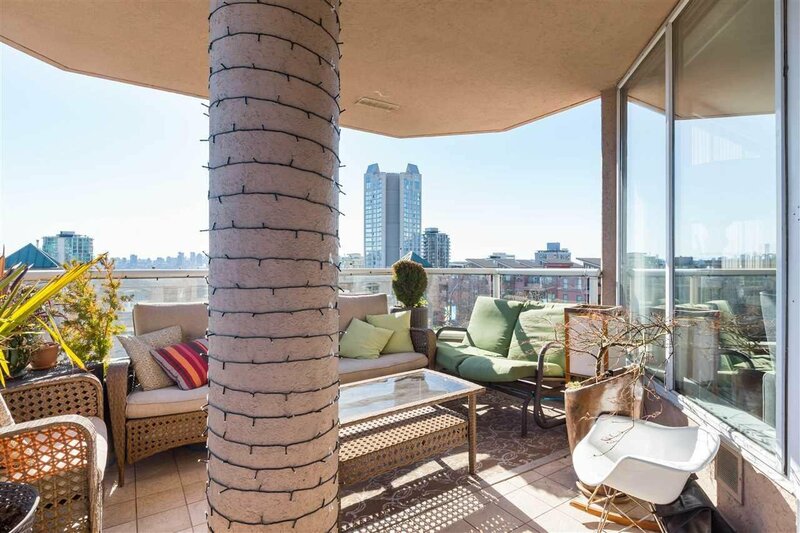 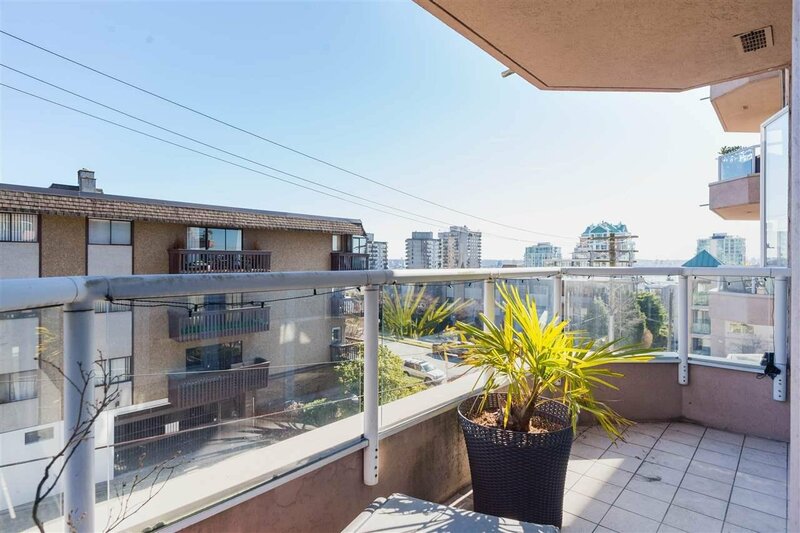 Two private patios for soaking in the morning sun or watching the sunset on the downtown Vancouver views. 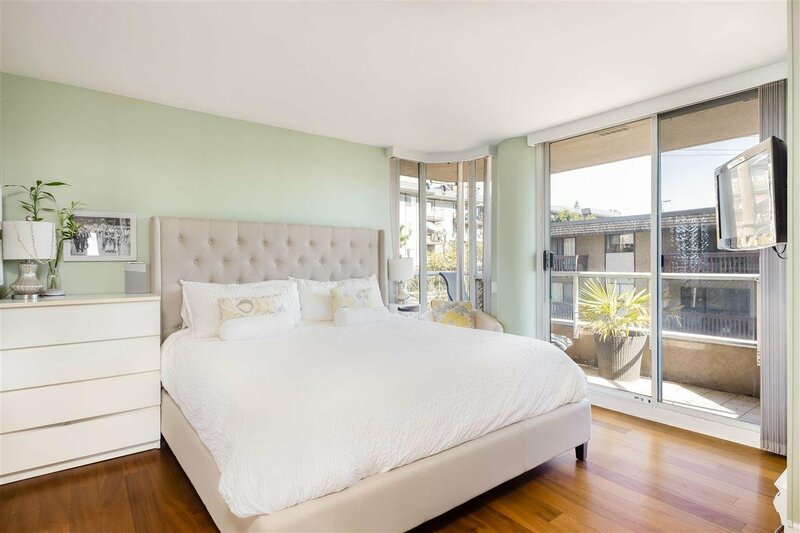 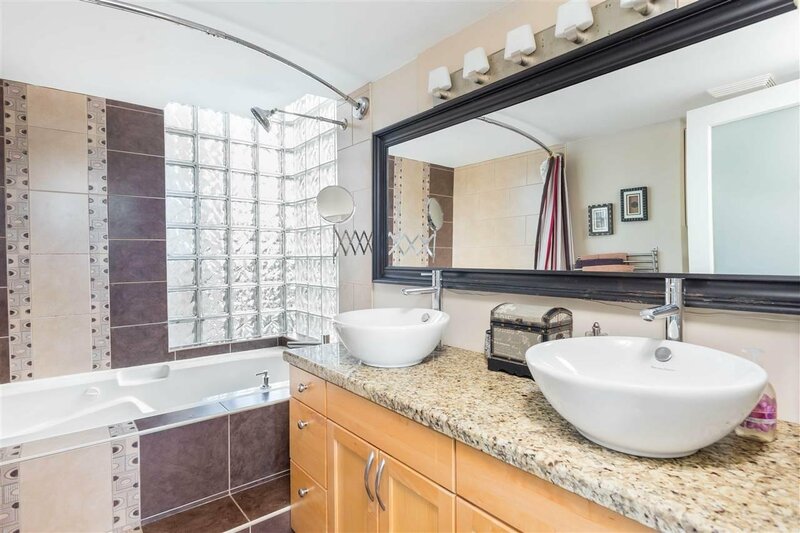 Master bedroom includes it's own outdoor space, walk-in closet with built in shelving, ensuite bathroom with natural light, two sinks & soaker jet tub. 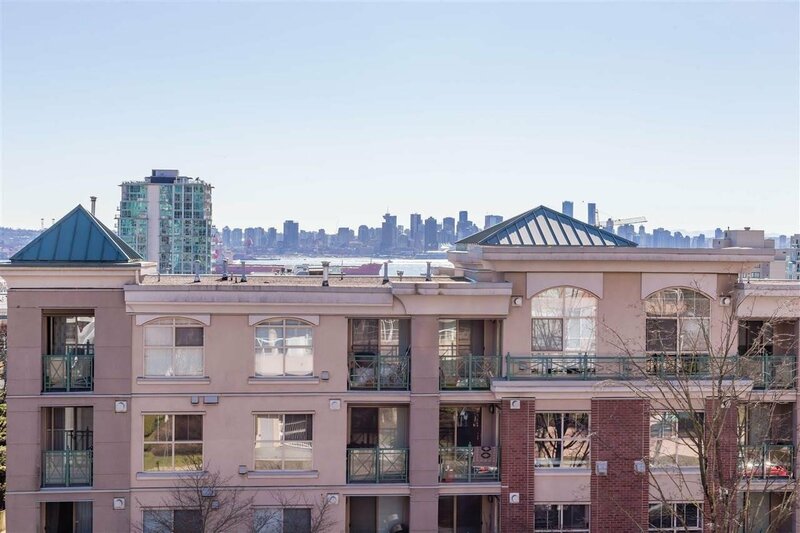 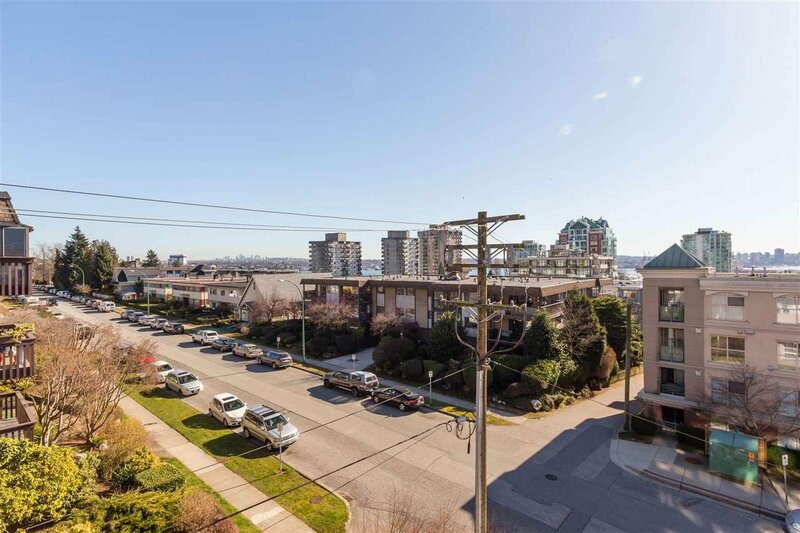 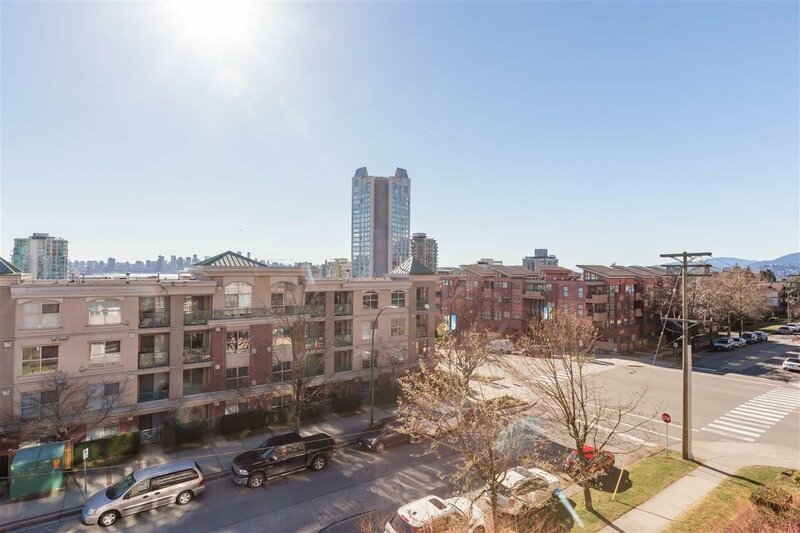 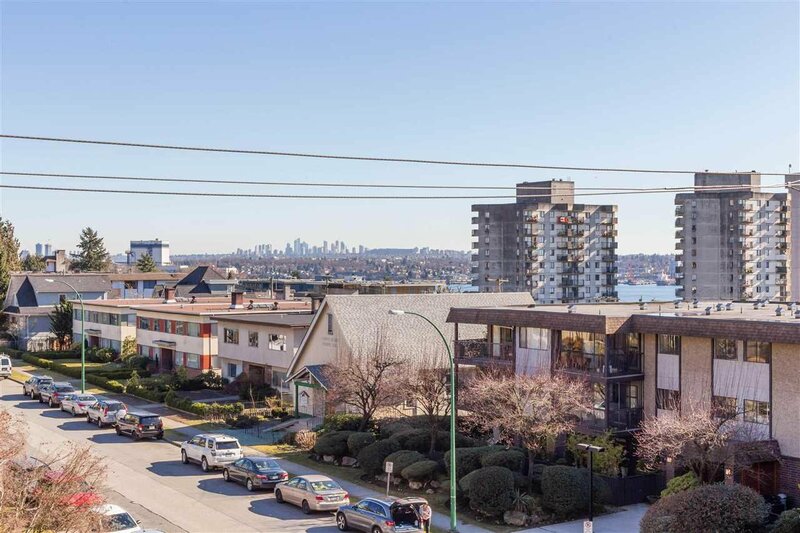 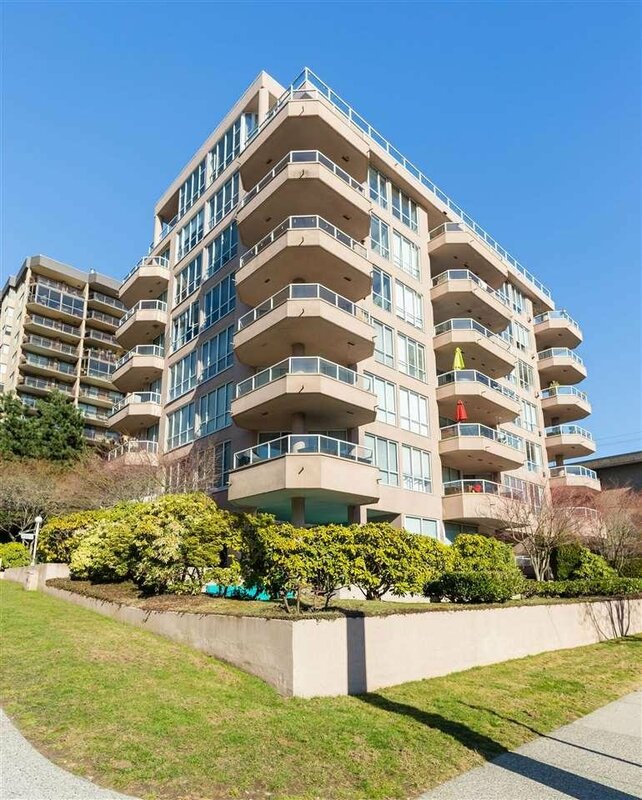 Located on 4th & Lonsdale, steps from The Quay, parks, cafes, fitness, restaurants and grocery. 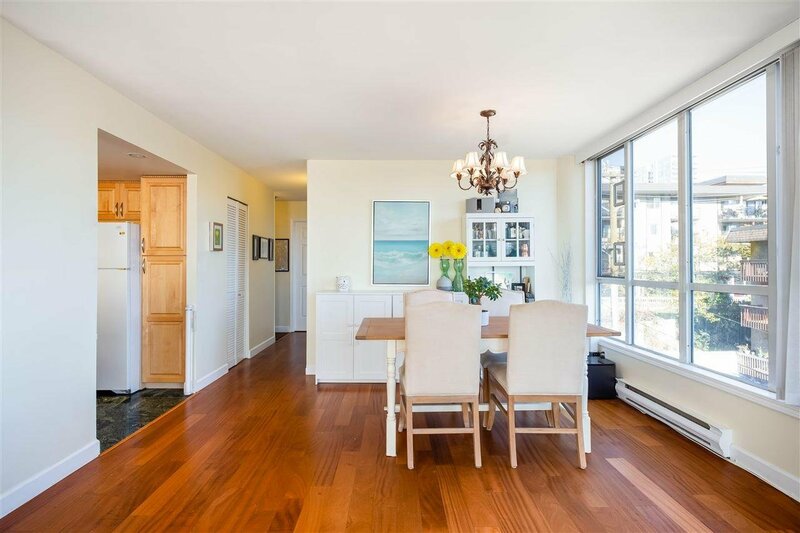 OPEN HOUSE Saturday/Sunday April 27/28th 2-4pm!